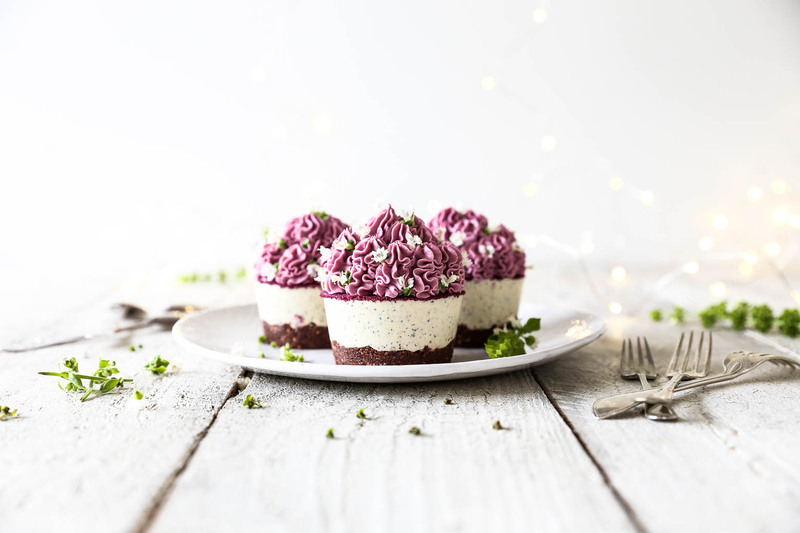 It was my birthday last week and IF I’d made myself a birthday cake, it would have been these raw passionfruit cupcakes. Instead, we ended up eating out almost the entire week as we also had three other birthdays to celebrate, annnd I might have had the odd dessert or two. But now that all the celebrating is over it’s back to much healthier, low sugar, desserts like these here cupcakes. Passionfruit is one of my all time favourite fruits. I would even go as far to say it’s my favourite…if it wasn’t for feijoa’s… and fresh raspberries. Of course, these are all very seasonal fruit so perhaps that’s why I love them so much. Nothing like a little scarcity to make the heart grow fonder. 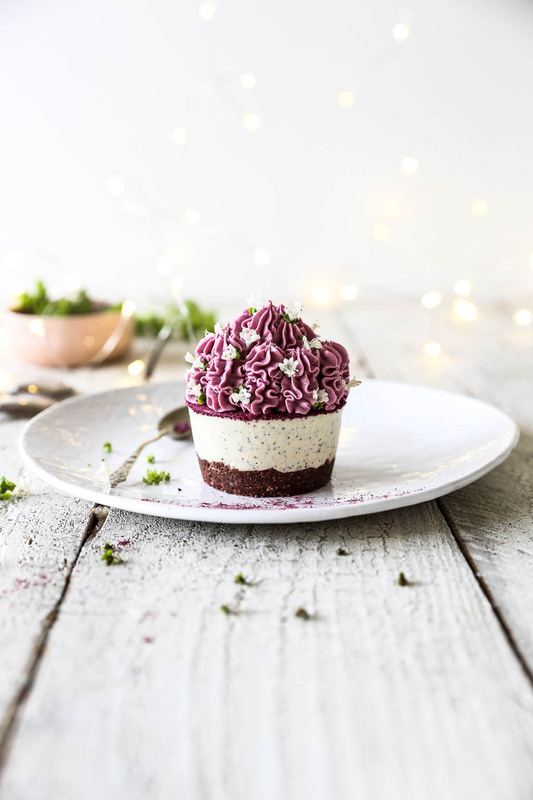 These raw passionfruit cupcakes are the perfect combination of creamy cashews and tangy passionfruit, while the richness of the chocolate, brazil nut and coconut base provides a beautiful contrast. 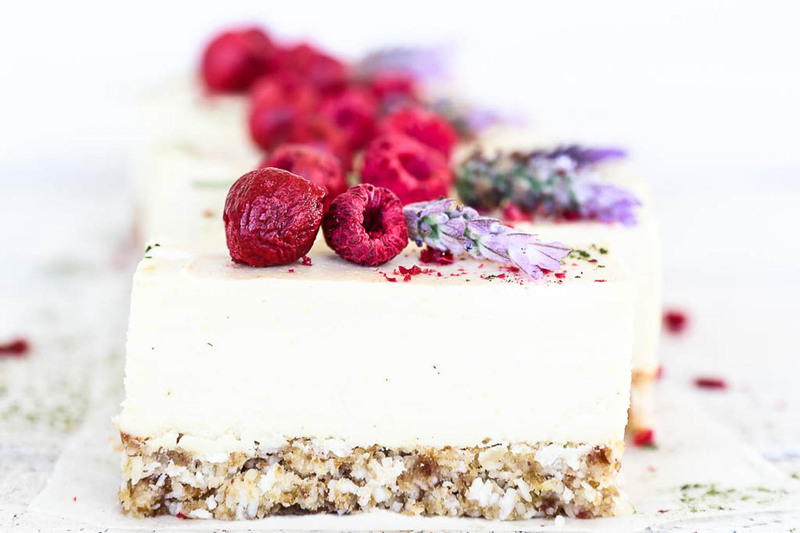 If you don’t have passionfruit in season and you can’t get your hands on any frozen passionfruit pulp, you could substitute in raspberries for a similar tangy flavour. Even though these cupcakes might look a little bit fancy, the recipe is truly quite simple. 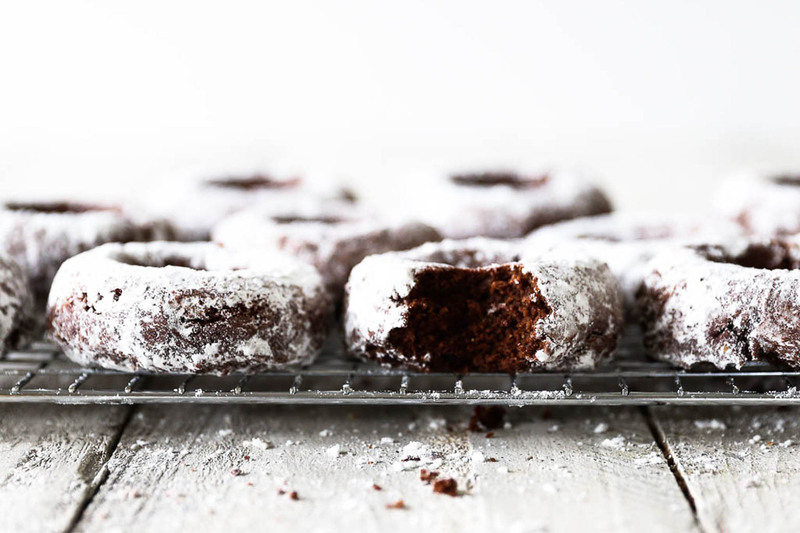 The frosting is simply chilled filling piped on top, so there are actually only two components you need to make: the chocolate base and the filling. 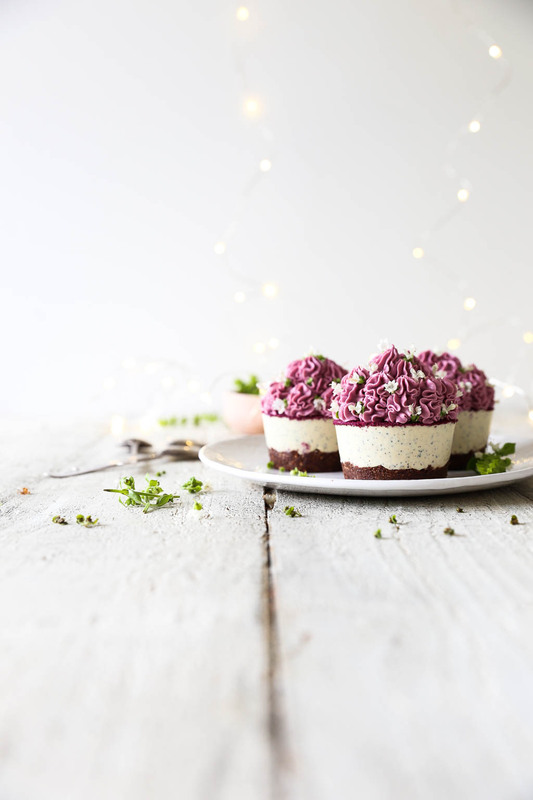 For decoration you can great creative and use a dusting of superfood powder such a pink pitaya, rose, blue pea or matcha. I’m loving the little white flowers from basil blossoms at the moment (plus we have a ginormous basil plant that’s gone to seed, providing me an endless supply!). But you could use any edible flowers that are available to you. 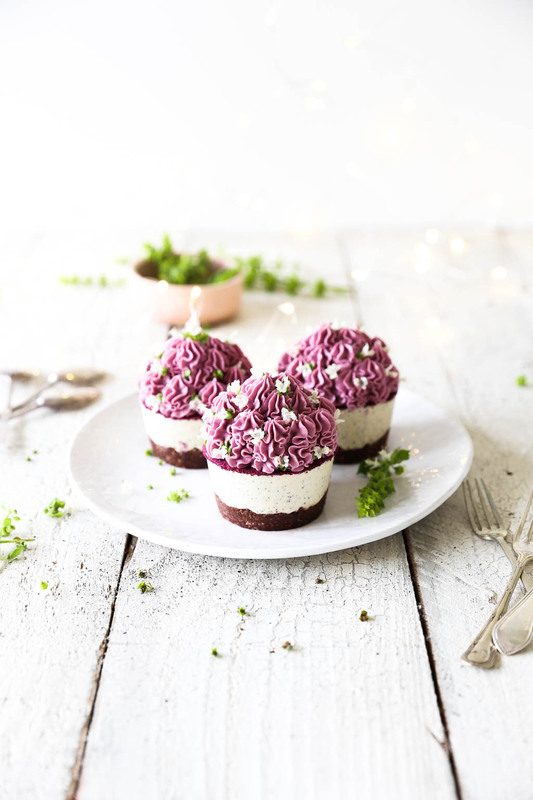 These raw cupcakes are perfect for a celebration or simply a nutrient dense little treat. If you make them I hope you love them too, and be sure to come back and tell me what you think! Enjoy. Prep Ahead: Soak the cashews for the passionfruit frosting by placing them in a bowl, cover with filtered water and leave to stand for 2 to 4 hours. Drain off the water and rinse well. 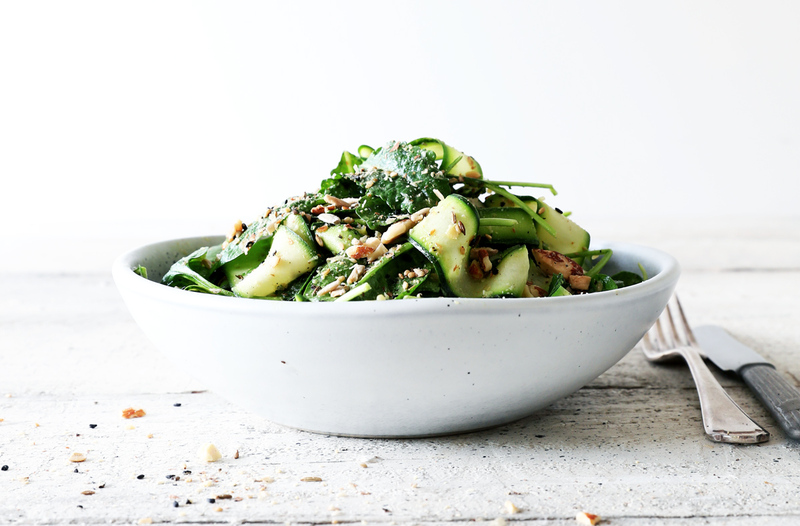 This can be done ahead of time and the cashews stored in the fridge for up 2 days until needed. Biscuit Base: Gently melt the coconut oil by placing it in a heatproof bowl set over a pan of steaming water with the heat turned off (this ensures it doesn’t go above 46ºC and remains in it’s raw state). Place the desiccated coconut, brazil nuts, raw cacao, vanilla and salt into a food processor and blend until the mixture resembles crumbs. Add the dates (ensuring pits removed) and blend until well combined. Add the melted coconut oil with the motor is running. Press the base mixture evenly into either a 6 hole silicone cupcake mould, or 6 cling film lined holes of a standard cupcake tin. Place in the fridge for at least half an hour to firm up. Filling/Frosting: Gently melt the coconut oil using the method above. Place the soaked and drained cashews into a high speed blender with the passionfruit, coconut milk, rice syrup, lemon juice and salt. Blend until super smooth and creamy. Add the melted coconut oil gradually through the top of the blender with the motor running until well combined and smooth. Pour half the mixture onto the prepared bases and return to the freezer to set. Add the pink pitaya powder to the remainder of the filling mix until you reach your desired frosting colour. Transfer this frosting to a bowl and place into the fridge or freezer to firm up. You’re looking for a thick consistency that holds it’s shape when piped. Dust the tops of the cupcakes with a superfood powder of your choice if desired (I used misty day plant potions pretty brew which is a rose based powder). Transfer the frosting to a piping bag with a fluted nozzle and pipe pretty swirls on top. Decorate: Finish off by dusting with extra superfood powder, freeze dried fruits and edible flowers if desired. 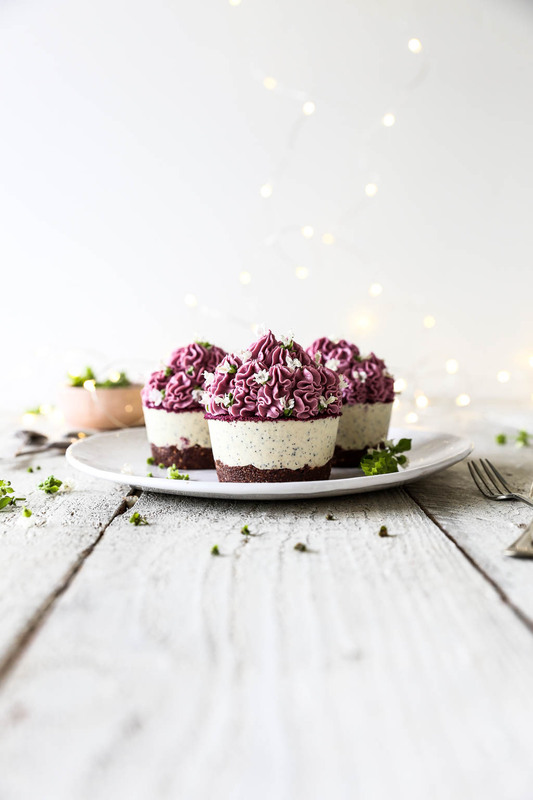 These raw passionfruit cupcakes will keep in a sealed contained in the fridge for up to 5 days, or in the freezer for one month. 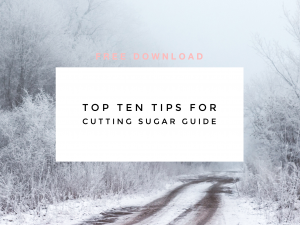 Get my top ten tips for cutting sugar guide!